The Hampton Inn Seattle/Airport hotel is eight blocks south of SeaTac Airport in the city of Seatac and 15 miles south of downtown Seattle Washington. Area attractions include a waterslide/amusement park the aquatic center golf courses museums shopping malls and the Space Needle 17 miles north of the hotel. Dining options include 13 Coins Jack In The Box Denny*s or Sharp*s Roaster all within less than a mile of our hotel. 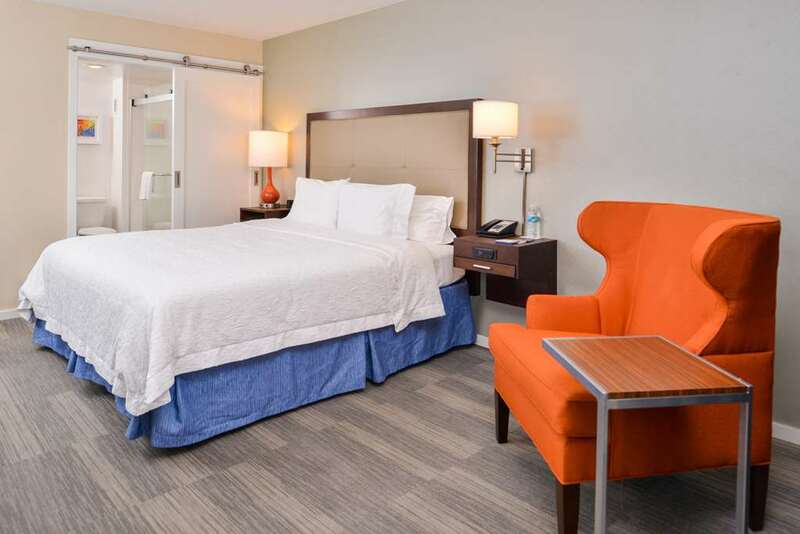 The Hampton Inn Seattle hotel features 130 rooms four stories complimentary 24-hour shuttle service to/from the airport and local restaurants Park *n Fly packages /during winter only/ exercise gym and outdoor pool. Hotel amenities include complimentary continental breakfast voicemail and TV with cable. We also offer connecting rooms cribs hair dryers and irons. Valet Laundry services and meeting room facilities are available for a nominal fee. We love having you here at the Seattle/Airport hotel in Washington.